When it comes to ethnic food, I feel super lucky to live in a city with a Hofbräuhaus restaurant. We typically go at least a couple of times a year, and I love all of the traditional German foods, from schnitzel sandwiches to potato pancakes and, of course, massive Bavarian pretzels. Not surprisingly, the pretzel is a must-order for me every single time I’m there, and I could totally make a meal of it. A friend of mine recently texted me to ask what she could bring to an Oktoberfest party that would go with soft pretzels (which the host is planning to make). 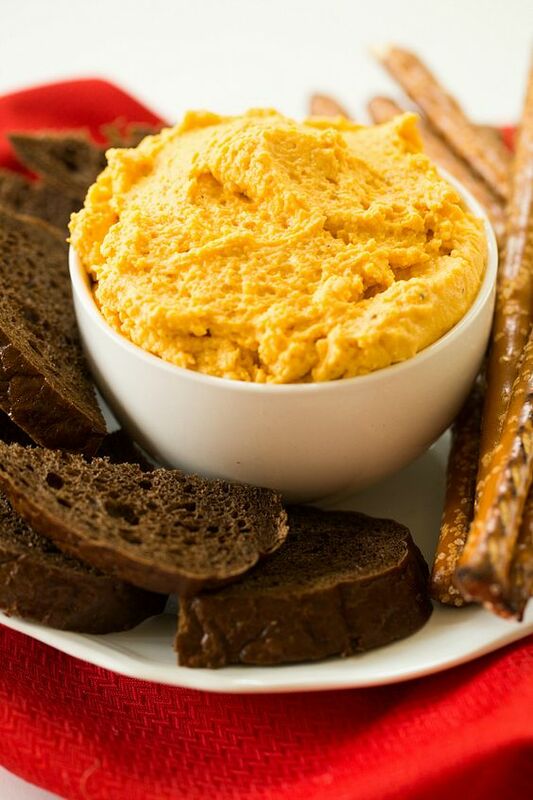 Literally, within hours of her texting me, I came across a recipe for German beer cheese spread, and I thought it would be just what she needed for the party. 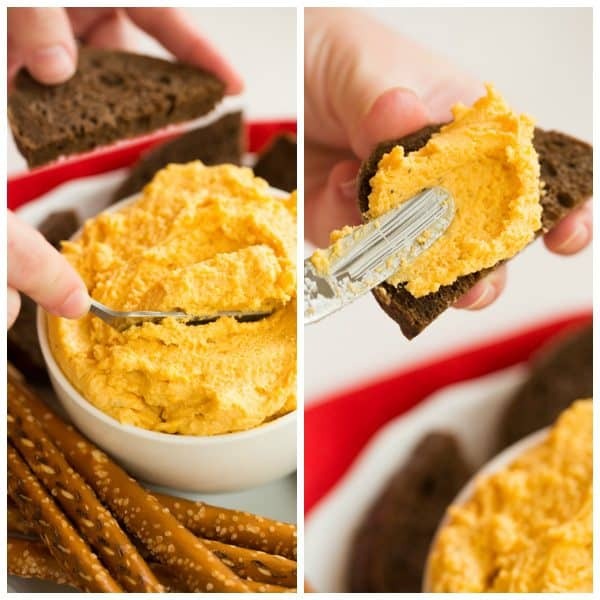 A cheesy mustard spread made with German beer – perfect for dipping pretzels! Place the cubed cheese in the bowl of a food processor and pulse until finely chopped, about 10 pulses. Add the worcestershire sauce, mustard, garlic, salt and pepper to the cheese and begin to process. While processing, pour the beer through the feed tube in a steady stream and process until the mixture reaches a smooth consistency, about 30 to 45 seconds. Refrigerate for at least 1 hour before serving. Serve with pretzels, crackers or pumpernickel bread. The spread can be kept in an airtight container or wrapped in plastic wrap in the refrigerator for up to 5 days. 0 Response to "OKTOBERFEST GERMAN BEER CHEESE SPREAD"